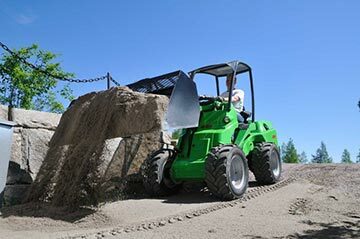 The range of Avant loaders is available with a wide variety of different options and attachments. Simply choose from the following categories for more information. Please Note: Operation of certain attachments may require specific equipment on the loader. Compatibility tables between attachments and loader models are advisory and all attachments do not fit on all loader models. Please contact us to make sure that the attachment you are looking for is compatible with your Avant loader. Avant offers a wide range of general bucket and material handling attachments, including everything from light and heavy duty buckets through to Jib booms and toolbox attachments. Avant offers a wide range of attachments to help with property maintenance tasks. The range includes everything from dozer blades through to rotary/collecting brooms and salt/sand spreading systems. 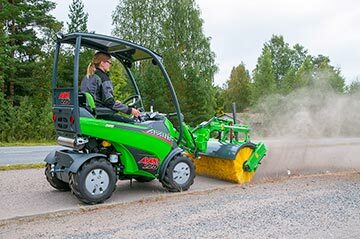 Avant offers a wide range of attachments to help with general day to day groundcare tasks. The range includes everything from lawnmower attachments through to edge trimmers and weed brushes. 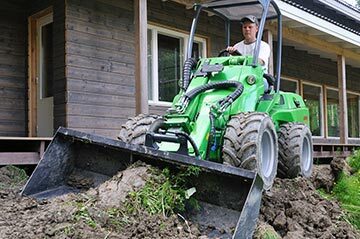 Avant offers a wide range of attachments to help with landscaping tasks. The range includes everything from rotary hoes and harrows through to levelers and stump grinders. 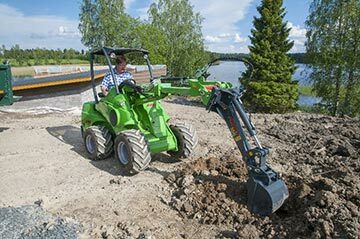 Avant offers a wide range of attachments to help with digging and construction work. The range includes everything from backhoes through to mini digger and trencher attachments. 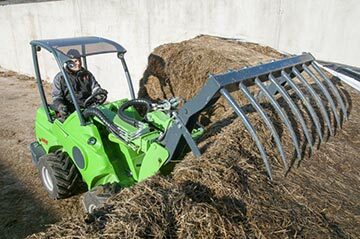 Avant offers a wide range of attachments to help with various farming and stable tasks. The range includes everything from grapples and silage grabs through to bale grabber, slurry mixer and cultivator attachments. 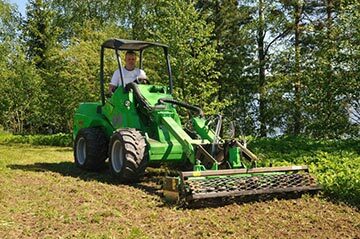 Avant offers a wide range of attachments to help with forestry work. 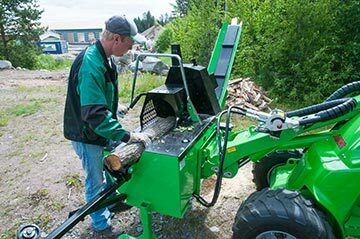 The range includes everything from winches and tree shears through to log grab, log splitter and wood chipper attachments. A variety of power pack options are available on Avant loaders. 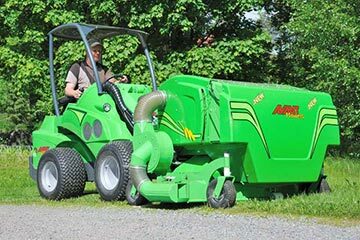 Generator, compressor and pressure washing attachments are all available. 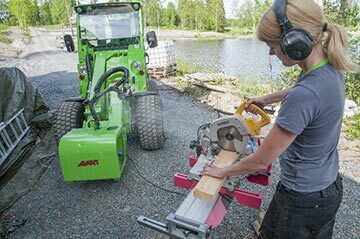 A variety of handheld tool attachments are available on Avant loaders. 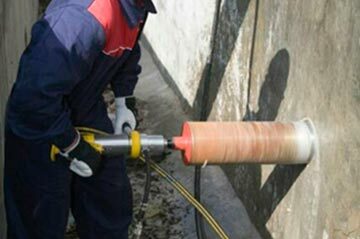 Rock drills, hydraulic breakers, core drills and cut off saws are all available. Additional options that can be used with some of the above attachments are also available. These options include everything from tilt adapters through to drawbars and multi-connector hydraulic systems. Various other options are also available on new machines. 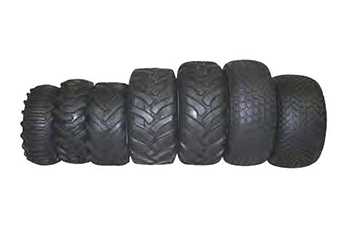 This includes everything from tyre choices through to telescopic booms and operator cabs. 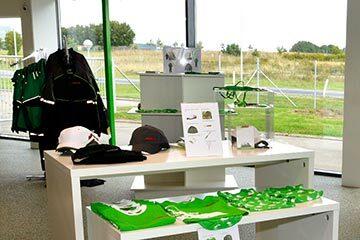 Avant also offers a selection of branded merchandise covering everything from workwear through to toys and collectable scale models.